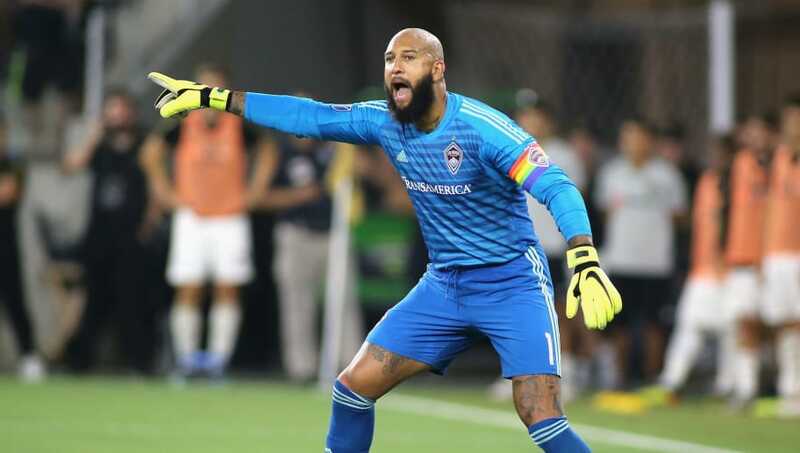 ​Former Manchester United and Everton goalkeeper Tim Howard has announced that the 2019 MLS season will be the final one of his career. The 39-year-old spent 13 years in the ​Pre​mier League, making 77 appearances with United before joining ​Everton in 2006, initially in loan. That was the beginning of a ten-year spell at Goodison Park as he made a whopping 413 appearances, collecting 131 cleans sheets and one goal for his troubles. Howard, who is now captain of MLS side Colorodo Rapids following his departure from the Toffees in 2016, made the announcement via his official twitter account. In the post, he proclaimed: "I’m greatly looking forward to kicking off the 2019 MLS season, as it will be my LAST. There will be plenty of time for sentiment later. "For now, I am going to enjoy every minute. And as I’ve always done, compete hard and help lead the Rapids with the sole purpose of winning." The custodian also had a storied international career, notching 121 appearances for the USMNT, making him the most capped player in his position, and the eighth-most overall. Perhaps his most famous moment in a USA shirt came at the 2014 World Cup, when he made a record 16 saves in an astonishing display last 16 display against Belgium that ultimately ending in a 2-1 defeat. His exploits later earned him a call from then US President Barack Obama. Howard made his debut in 1998 with MLS side New York/New Jersey MetroStars, now know as the New York Red Bulls, and his final season between the sticks will start on March 2.